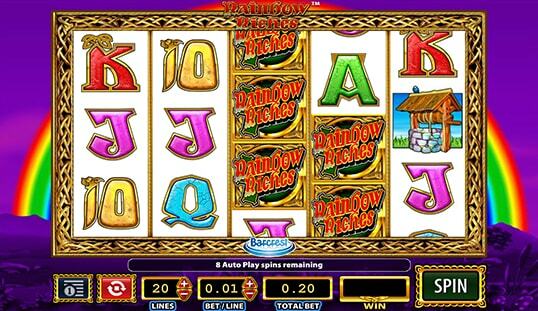 Rainbow Riches slot brings chances to find the Irish pot of gold at the end of the rainbow, and all this is possible with just a spin of its reels. 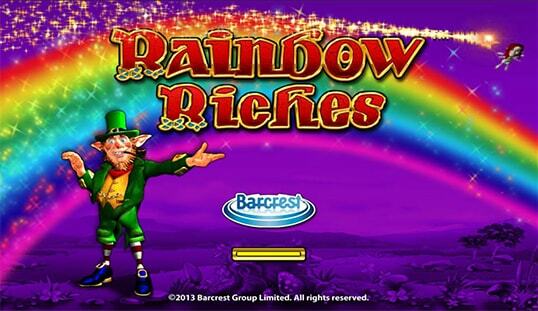 Rainbow Riches slot is a popular attraction in many offline casinos and even bookies. 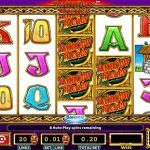 Created by IGT as a slot machine and was developed by Barcrest Games, it’s essentially a port of an offline slot game into an online version. 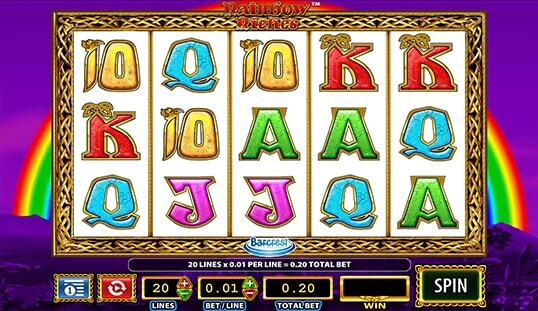 Barcrest has been around since the 60s and they have been making slot games for the UK market since then. They know exactly how to make a winning formula. 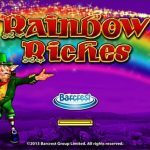 Rainbow Riches is an excellent example of what they can do. Rainbow Riches is a throwback to the old-school. It features Irish mythology with its leprechauns, rainbows, and pots of gold. Cute sound effects and great animations ensure that players will be able to have a fun time. The graphics in this game, however, is miles away compared with the high-definition 3D online slots today. Given that the game was designed years back, expect to find dated graphics that are still entertaining to look at. 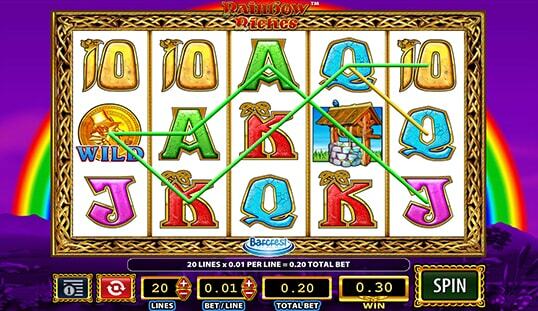 When people play Rainbow Riches they can set their bets with the Stake Line option. This can range from 0.01 to 20 credits. Another choice is the Lines, which can go up to 20. An auto spin feature is also there for ease-of-play. The Wild in the game is symbolized by a golden coin, and it substitutes for all symbols except for certain symbols like the wishing well, the leprechaun, and the pot of gold. If you’re lucky enough to get five Wilds, you’ll get 10,000 credits. There are several bonus options. First is the Road to Riches which is triggered with three or more leprechaun symbols. This will reveal a new screen that features a path filled with multiplier values and a wheel of fortune at the beginning of the path. Spin the wheel and it will show how many steps you can take and where you land is your multiplier. Another bonus comes from the Wishing Well. Get three well symbols and it will give you a bonus multiplier. The same rules go for the Pots of Gold bonus. But this bonus starts a mini-game where silver, bronze, and gold pots spin around a leprechaun. Once they stop, a bonus will be chosen for your bet. It can be hard to play Rainbow Riches with Bitcoin. Most Barcrest Games are licensed to UK and Europe-based casinos and are yet to find their way to Bitcoin casinos. 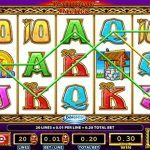 These games, however, are available in certain online casinos run by real money. Check them out if they have a Bitcoin option to see if you can bet with bitcoins.